The slogan for the signatory contractors that work with members of Plumbers Local No. 12 is "We do it right the first time." The phrase expresses the value and integrity that a well-trained and highly skilled workforce brings to a project. 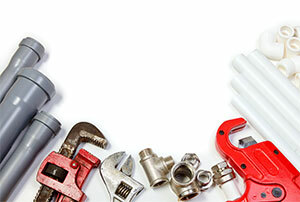 A recent policy introduced by the United Association (UA), the national organization representing Local 12, spells out the fundamental principles by which member plumbers and contractors are expected to abide. Called the UA Standard for Excellence, the document provides a roadmap to help ensure that members uphold the best workplace ethics along with a commitment to quality. By and large, the standards, which address issues such as productivity, respect for the customer's property, and safety, are common-sense items that Local 12 plumbers and contractors already embrace. But, by putting them into writing and sharing them with members and the industry at large, the standards help reinforce expectations and highlight the Union difference. "The Standard for Excellence," says William P. Hite, UA general president, "says to construction clients: This is who we are, this is what we'll do--and you can count on it." Among the key components of the standards is a zero-tolerance policy for substance abuse on the job. Local 12 is addressing that requirement by instituting a workplace drug-testing program (see related article elsewhere in this issue). The UA standards also call for ongoing training and certification; the new continuing education requirements for Local 12 plumbers (also covered elsewhere in this issue) fulfill that condition. Some of the other standards are subtler. For example, one of the items deals with on-the-job clothing. While dress codes have generally been relaxed in all workplaces, the UA is establishing some minimal guidelines to help create a more congenial workplace and demonstrate respect for the client, the contractor, and the community at large. "This may seem like a small thing," says Harry Brett, Plumbers Local 12 business manager. "But appearance is important. We want to present ourselves as professionals, and how we look is part of our image." Brett adds that there will be a period of education to introduce and establish the standards on the local level. He also says that elements of the UA Standard for Excellence will be incorporated into the next collective bargaining agreement, which will be drafted in 2010. The standards apply to signatory contractors as well as Local 12 members. Employers and managers, for example, are obliged to minimize project downtime by ensuring that tools, job specifications, and other items and info are readily available. Hugh Kelleher, Executive Director for the Plumbing Heating Cooling Contractors of Greater Boston, says that the UA standards have been well received among contractors. "It's a great way to set a high bar for UA performance. The goal is to reach out to project owners with a positive message. We want them to know that our people are committed to first-class work." Hite says that the standards will help reinforce the exemplary reputation of the organization, its members, and its affiliated contractors. "The UA is the best of the best. Let's make sure that everyone knows it."